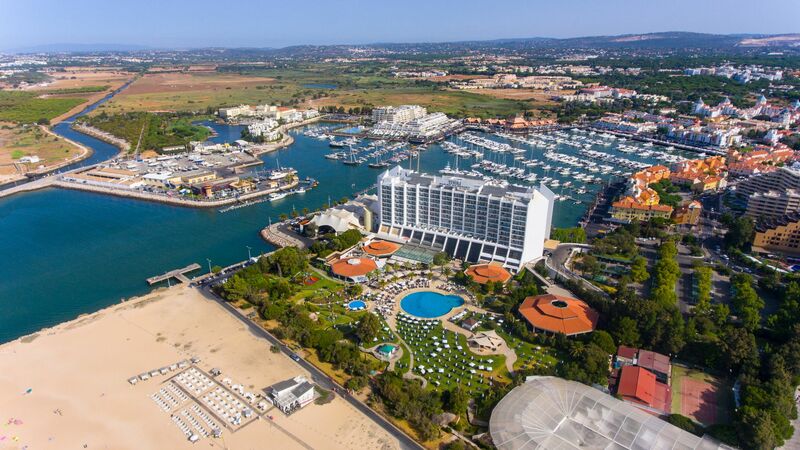 Vilamoura offers a luxurious marina, sandy beaches and upmarket shops, bars and restaurants. This cosmopolitan town is home to a modern beachside area, bustling streets, luxury yachts and lively beaches. Perfect for couples and families, spend your days on the beach or by the swimming pool, indulge in some retail therapy or enjoy the many amenities and activities available. If you enjoy a lively atmosphere, Vilamoura’s marina is the perfect place. Wander along the dock and window shop for yachts, enjoy delicious fresh seafood at the many restaurants or fine wines and champagnes in the bars. Family run cafés and tavernas are dotted throughout the town and are the perfect place to relax in the warm sun with a coffee or ice cream as you watch the world go by. Visit boutiques and pick up unique items, souvenirs and designer clothing, or spend a lazy day on the golden sands of the beach. Vilamoura is full of luxury experiences, from the golden sands backed by beach bars to the lively bars and restaurants. The town has a cosmopolitan feel, with shops and chic restaurants, while the Quarteira gypsy market and family run tavernas will take you back through its fascinating history. Roman ruins are perfect for those wanting to explore the Algarve’s past, while there are four championship golf courses surrounding the resort. Whatever you choose to do you’ll find something fantastic on luxury holidays in Vilamoura. 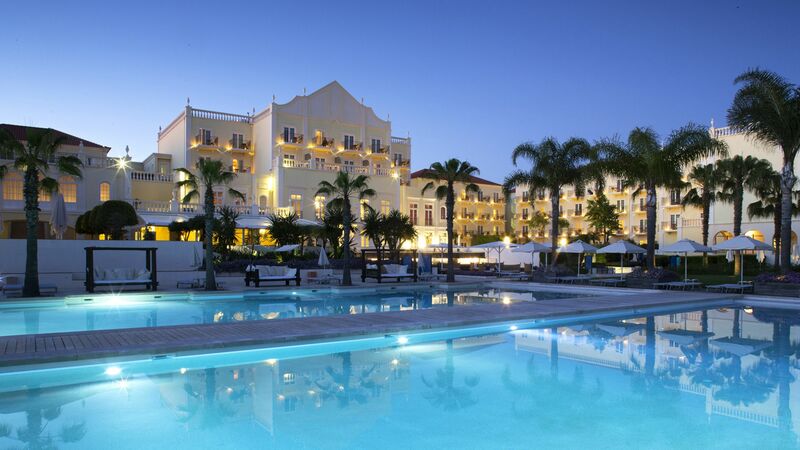 At Sovereign we’ve hand picked a selection of the best luxury hotels in Vilamoura. 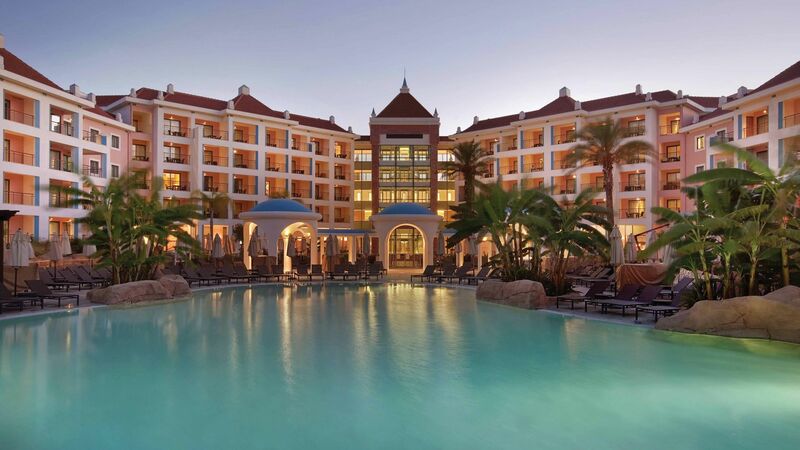 Choose the Hilton Vilamoura As Cascatas Golf Resort & Spa for elegant surroundings, stunning architecture and a serene spa. 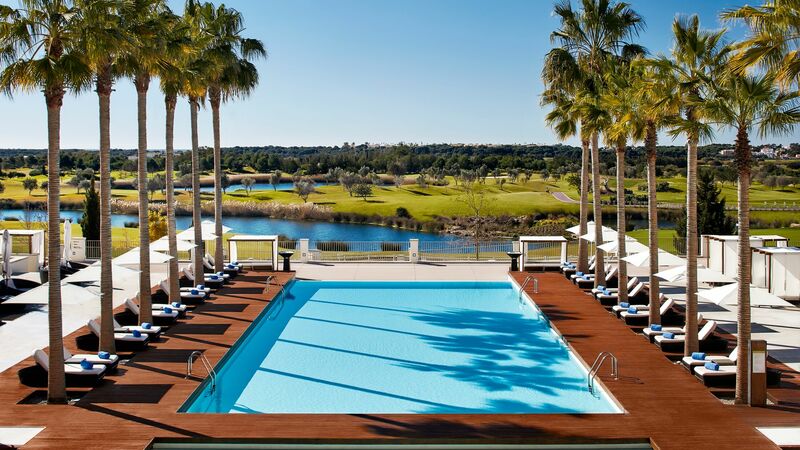 Anantara Vilamoura Algarve Resort is a chic, modern property with views across the emerald green golf courses, six restaurants and five swimming pools. And for beautiful views close to the town’s harbour Tivoli Marina Vilamoura is the perfect place for luxury holidays in Vilamoura. Vilamoura’s marina is a lovely place to spend an evening. There are restaurants galore and there’s a great atmosphere on warm summer evenings when everyone’s dining outside. Transfer time from Faro airport to Vilamoura is approximately 40 minutes.